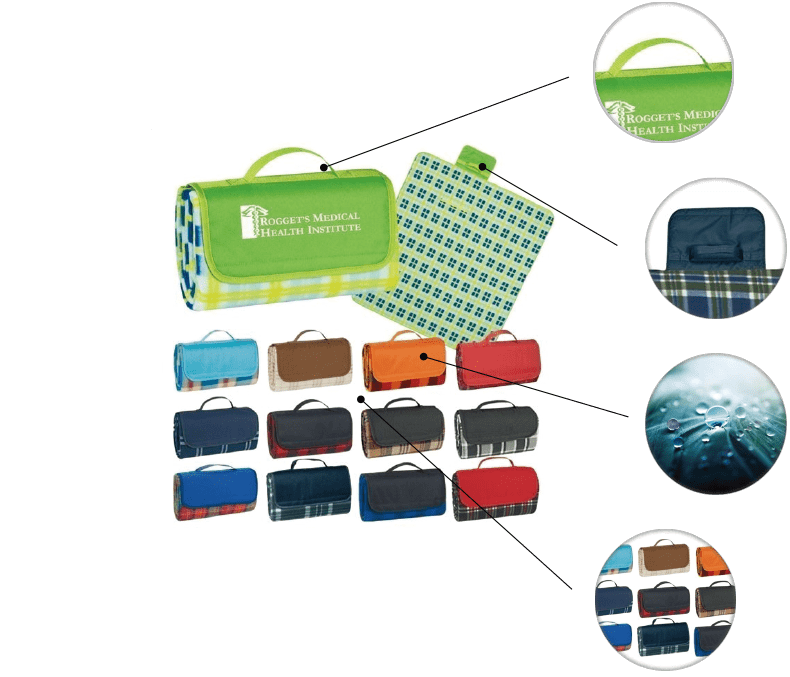 The Custom Roll-Up Picnic Blanket from AnyPromo is a classic plaid picnic blanket that's designed to be conveniently rolled up and secured with a Velcro closure. It measures 52" x 47", is made with polyester fleece, and features a water-resistant PVC backing. 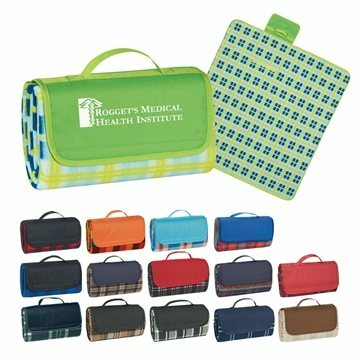 This extremely portable picnic blanket also has a handle, so it can be easily carried when bundled up. These portable roll-up fleece blankets are a great promotional giveaway because they have many potential uses. Not only are these great to have in a car for impromptu picnics or trips to the park, they are handy or use in emergencies or as a stadium throw. If you're looking for a warm; welcoming giveaway for your valued customers or friends, the Custom Roll-Up Blanket is the perfect choice for any occasion! It's rich texture and color options make this item easy to design and brand! Whether you're looking for a more intimate giveaway for a small group or a large company holiday gift, the Custom Roll-Up Blanket will be valued for years to come. 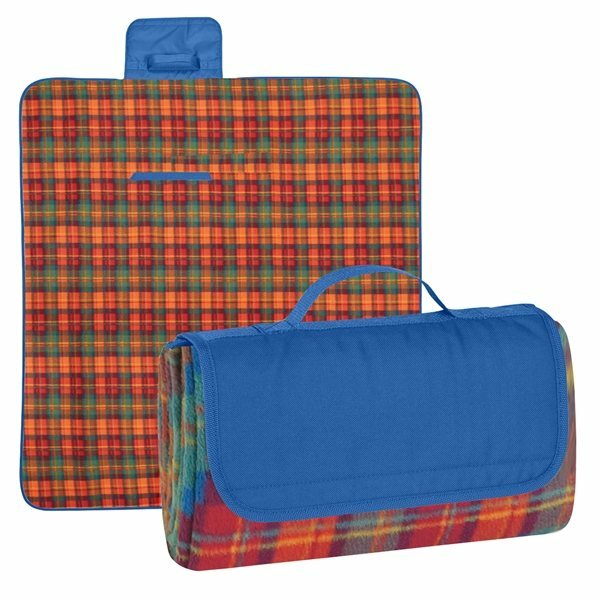 52" x 47" Polyester Fleece plaid blanket with lining and water-resistant PVC backing. Picnic blanket easily folds within itself, features a Velcro® closure. Roll-Up blanket features an attached handle for easy carrying. Your customers will think of you fondly when you when they use your branded blanket to warm themselves against the elements. Features a water-resistant bottom, allowing you to lay it on damp grass without moisture seeping through. This promotional roll-up blanket features a handle so that you can easily carry it around while on the go. This roll-up blanket has a hook and loop closure, allowing you to keep it securely rolled up while carrying it by the handle. Our customers have loved this blanket. The quality is good for the price. The convenience of the fold up is great! Everything was exactly how I wanted it and service was great. Items arrived on time. Will buy from Any Promo again.